The Letitia Street House (1715) was once incorrectly thought to be the home of William Penn’s daughter. Formerly located at Second and Chestnut, the house was moved to Girard near the Philadelphia Zoo and is currently under restoration by Fairmount Park Trust. This photo was taken during a paint analysis of the building, 18 November 2010. 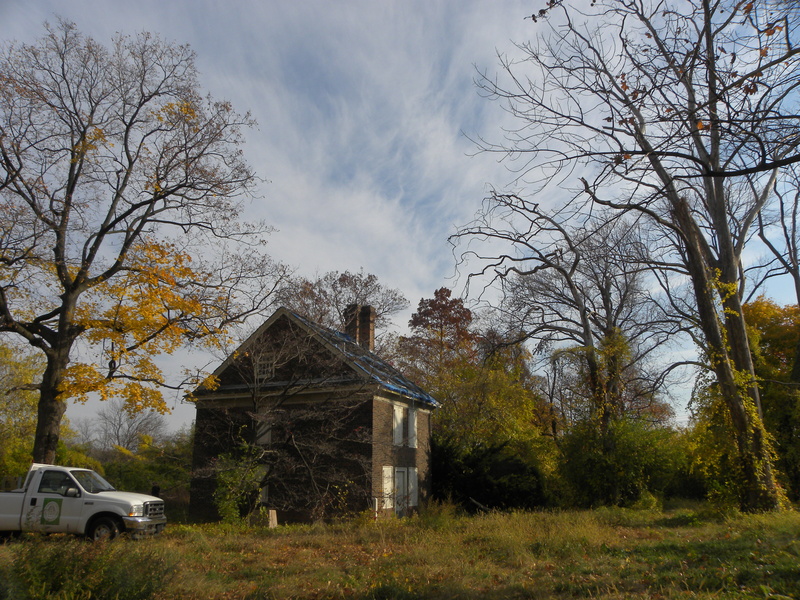 25 Oct	This entry was published on October 25, 2013 at 8:03 am and is filed under Fairmount Park, Historic Preservation, West Philly. Bookmark the permalink. Follow any comments here with the RSS feed for this post.